This show is amazing- I can't believe it took me 6 trips to see it! PHOTO TIP: Take lots of pictures with a steady hand and minimum flash and you will hopefully grab some great shots too! 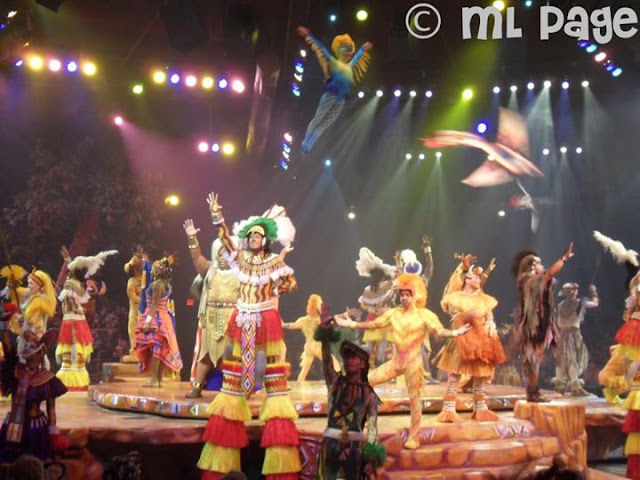 We loved this show the last time we were at Animal kingdom.That was all too long ago and we can't wait to see it again this fall. And Finding Nemo, as well. This is is one of my favorite shows at WDW!!!! My husband is the camera guru in our house, but I was heading in to see this show for the first time without him, as our baby was sleeping soundly in the stroller. He programmed the settings in the camera without ever having been inside the theater, and I sort of held it above my head, tried to focus, and hoped for the best. The shots turned out great, and I can't help but smile every time I look at them!